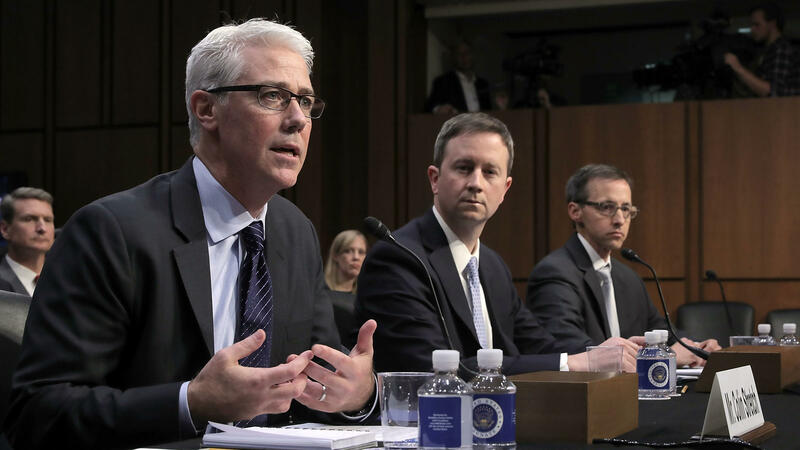 Left to right: Facebook General Counsel Colin Stretch, Twitter Acting General Counsel Sean Edgett, and Google Law Enforcement and Information Security Director Richard Salgado testify before the Senate Judiciary Committee's Crime and Terrorism Subcommittee on Tuesday, October 31, 2017. 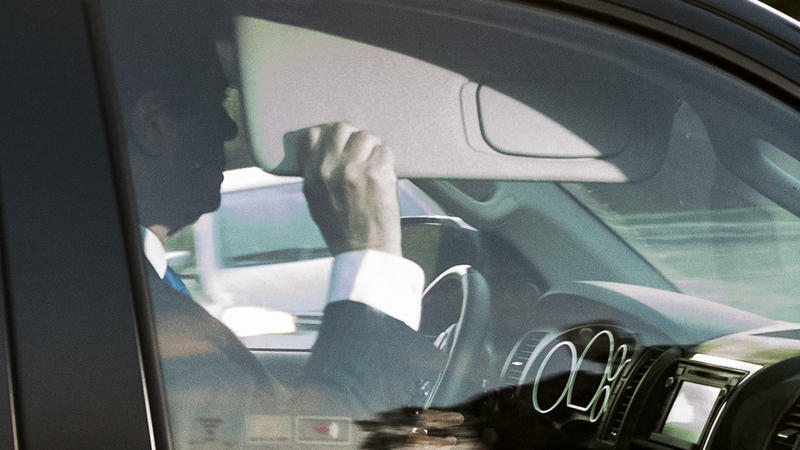 Former Trump campaign chairman Paul Manafort leaves U.S. District Court after pleading not guilty following his indictment on federal charges on Monday, October 30, 2017 in Washington, D.C.
"The Russians have succeeded beyond their wildest expectations," as former Director of National Intelligence James Clapper told Politico this week. The charges unveiled on Monday by Justice Department special counsel Robert Mueller add the latest pieces to the puzzle: Russian operatives made overtures early to a junior campaign aide of Donald Trump, offering him "dirt" on Hillary Clinton — fruits of the clandestine work — and requesting "off the record" meetings with him, his bosses and the candidate. 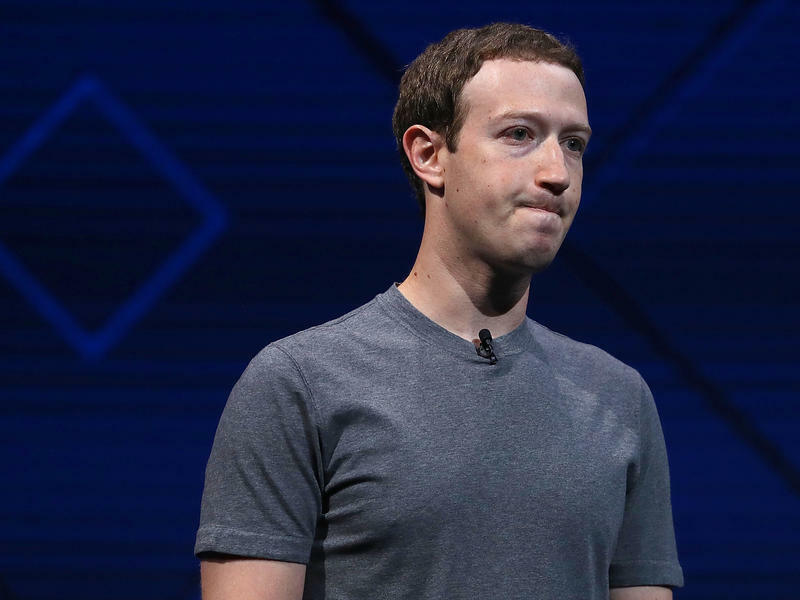 And on Tuesday, representatives for three Big Tech players told senators that many more Americans than first thought might have seen content online linked to the influence campaign — possibly as many as 126 million people, in the case of just Facebook. This project appears to have got rolling as early as 2015, when Russia launched cyberattacks against as many as a thousand targets within the United States, as former FBI Director James Comey told members of Congress. Russia's spy agencies began probing the computer networks of politicians, parties and other targets, as well as state elections systems and their vendors, across the United States. Not long after: the overt side, which involved Russian-linked accounts buying ads and posting content on Facebook and also using other social media and digital platforms to try to mislead Americans and amplify controversy within the United States. Soon all of these efforts were underway at once, and they expanded. Operatives continued reaching out to people in the Trump campaign; influence-mongers bought ads and even convened real events offline. Spies who extracted data from target computers contrived to release it — one example of where the clandestine operation moved into the open. Russia's military intelligence agency, the GRU, couldn't simply post copies of the emails it stole from the Democratic National Committee, or former Secretary of State Colin Powell or Clinton's campaign chairman John Podesta. It needed a fence to get them into the public square. So the U.S. intelligence community says it chose WikiLeaks, possibly using an intermediary so that WikiLeaks founder Julian Assange could plausibly deny he'd gotten the material from the Russians. In other cases, cyber-operatives used a website they created called DCLeaks, one that both posted hacked emails on its own and worked with journalists to get them into circulation. All this was taking place as the world's attention was riveted on a historic, expensive and often ugly political contest between the first woman to win a major U.S. party's nomination for the presidency and an insurgent newcomer with no prior government, military or political experience. Russian political figures were voicing support for Trump in real-time, if few Americans were paying attention. Russia's operations didn't change any votes, U.S. intelligence officials say. But they helped change the subject many times, both at a micro level — in pitting users against each other on Facebook, or at rallies organized by fake users — and at the macro level — leaks of the DNC emails cost the party's chairwoman her job and embarrassed party figures, journalists and many others. As a candidate, Trump hailed WikiLeaks for exposing what he called the venality of Clinton's operation, the Democrats and other targets. More recently, the man he named CIA director, Mike Pompeo, called WikiLeaks a "hostile intelligence service." But for as much has since become clear, many pieces of the puzzle are still missing. One question: What are the extent of the contacts between Russian agents and Americans? Several people in the Trump campaign are known to have had contact with Russians or their agents, including foreign policy adviser George Papadopoulos; aide Rick Dearborn and his former boss, adviser and then-Sen.Jeff Sessions — who has gone on to become Trump's attorney general. Sessions said his role in the Trump campaign meant he must recuse himself from the Justice Department's investigation into Russia's interference. Another adviser, Carter Page, traveled to Moscow at least twice. And Trump's eldest son, Donald Trump Jr., as well as his son-in-law, Jared Kushner, and his then-campaign chairman Paul Manafort, met with a delegation of Russians at Trump Tower in June 2016. Trump Jr. took the meeting after receiving an email that described, via a series of intermediaries, an offer of help from Russia's top federal prosecutor, Yuri Chaika. "If it's what you say," Trump Jr. responded, "I love it." Trump Jr. and Kushner have since denied accepting any help from the people they met. 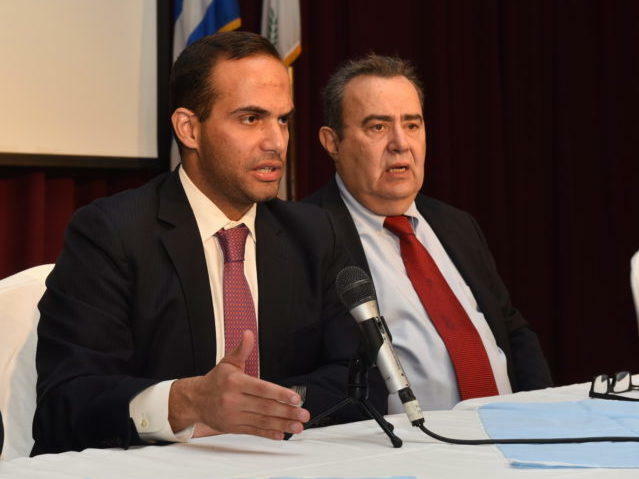 But by the time of their meeting, some people in the Trump campaign had been aware for weeks that Russians were making offers of help — Papadopoulos began circulating details about them to his bosses. Court documents unsealed this week made clear that some of his supervisors encouraged him to cultivate those relationships, and potentially even travel to Russia if he could for meetings "off the record" with people there. Where else did Russians bore into the Trump operation? Who else was involved with these arrangements, and at what level? Answering those questions is at the core of Mueller's mandate. NBC News reported that one of Papadopoulos' supervisors, Sam Clovis, has talked with Mueller's investigators and testified before the grand jury being used by Mueller's team. Another question is, what more covert trickery took place? There was even more to the clandestine aspect of Russia's operation than cyberattacks, snooping and secret meetings. Russian intelligence may have been responsible for at least one forged document that muddied the waters of a high-profile investigation last year: the FBI's inquiry into Clinton's use of a private email server while she was secretary of state. Then-FBI Director Comey reportedly was aware of an intercepted Russian government message that appeared to indicate then-Attorney General Loretta Lynch had assured the Clinton campaign that the Justice Department would go easy on them over the email issue — which Lynch now-famously called a "matter," as opposed to an investigation. This came to light not only in the midst of the superheated campaign, but after a real-life encounter in which Lynch had met privately with former President Bill Clinton on her aircraft in Phoenix. Comey is said to have known the Russian document was a fake and acted on his own for other reasons to cut Lynch out of his decision-making — and ultimately decide not to prosecute Hillary Clinton. However, it has never been clear how or why the Russian forgery got into the mix, and what other material might have been circulating in government hands in ways of which the public never became aware. The Republican chairmen of the House Oversight and Judiciary Committees have vowed to do more investigating into the FBI's handling of the Clinton email case, and they could turn up more. Then there's the now-infamous, unverified dossier about Trump's alleged ties to Russia that exploded onto the scene in January of this year. The firm behind it was originally retained by a conservative website backed by a major Republican donor to do opposition research on Trump; eventually the firm's work continued, underwritten by Clinton's campaign and producing the dossier. How much of what's in the dossier is genuine? How much is, for lack of a better term, honestly wrong? And how much might be deliberate disinformation? A third big question: How much can the United States do to prevent any of this from going on? What intelligence officers call "active measures" have been a part of statecraft for centuries, and in particular they have bedeviled American policymakers since the Cold War. About the only conclusion they could reach in the past was about the importance of calling out fakery, especially forged documents, when they saw it. 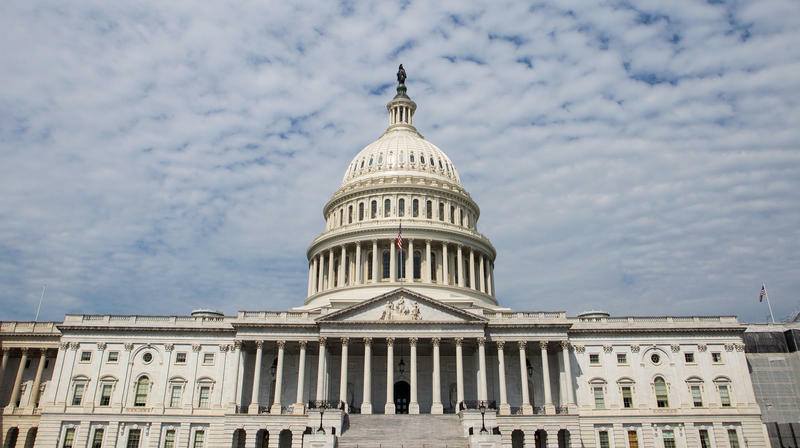 This time, members of Congress want to try something a little stronger: new measures that would mandate more transparency in digital advertising on the social networks. That, however, would not stop the ads from being purchased in the first place, nor do anything to address the covert side of foreign interference in U.S. elections or political debates. 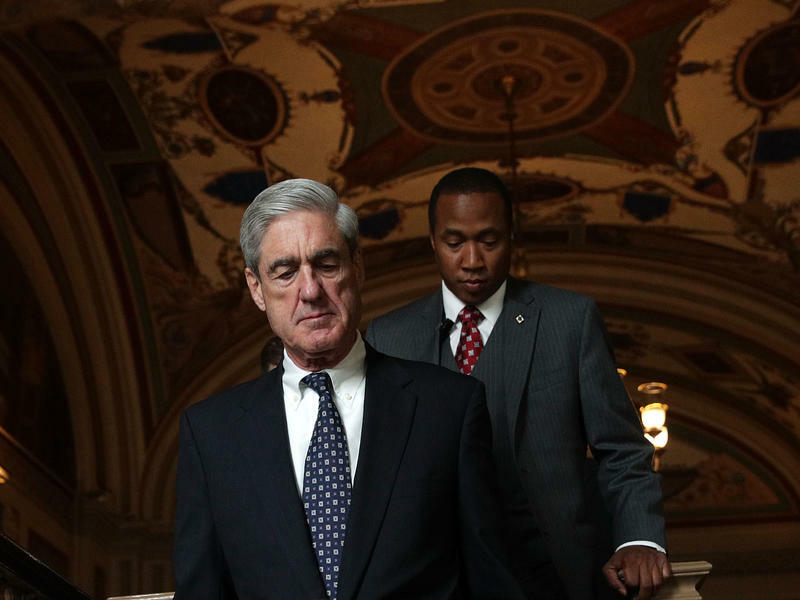 Congress could try to do more — but probably not before the work of the two intelligence committees is finished and certainly not before Mueller has signaled that he is done. And, only he knows when that might be. Russian interference efforts in the 2016 presidential election were broader than anyone first knew, as representatives for Facebook, Twitter and Google told lawmakers on Capitol Hill Tuesday. Powerful Democratic lobbyist Tony Podesta says he's stepping down from the firm he and his brother built – an unexpected, bipartisan shock wave from special counsel Robert Mueller III's indictment of former Trump campaign manager Paul Manafort. 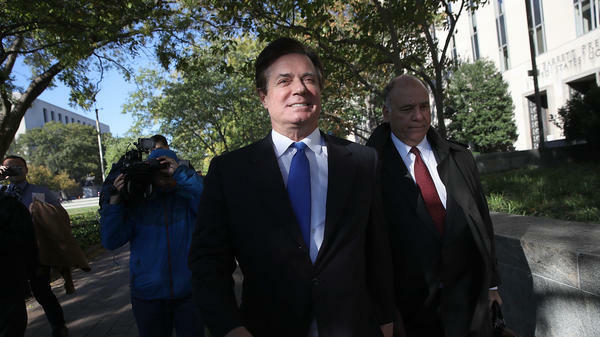 Paul Manafort, President Trump's former campaign chairman, has been indicted on federal charges that range from conspiracy against the United States to conspiracy to launder money. He was taken into federal custody Monday morning, along with his longtime deputy. 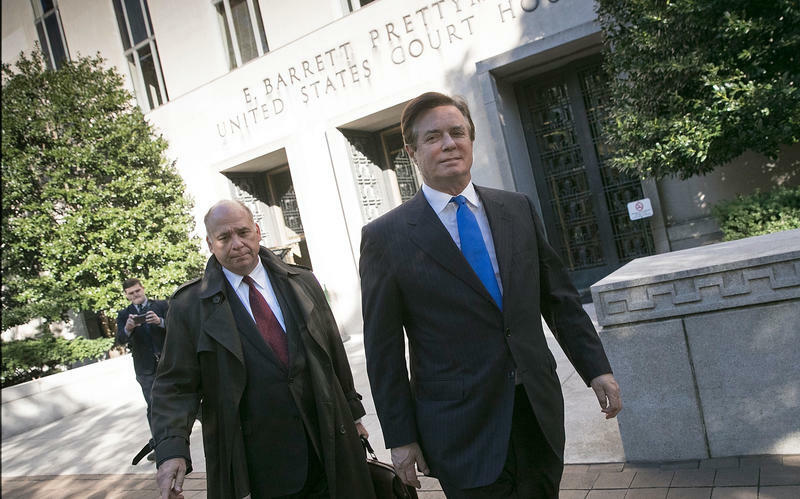 In a court hearing around midday, both Manafort and his co-defendant, Rick Gates, pleaded not guilty.